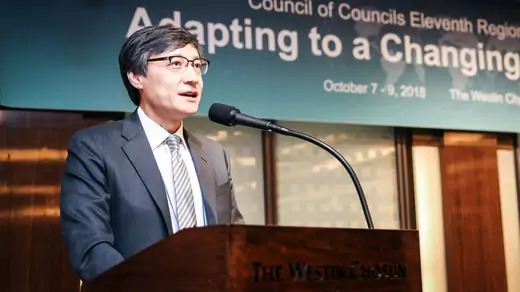 On October 7–9, 2018, the East Asia Institute (EAI), in collaboration with the Council on Foreign Relations (CFR), hosted the eleventh regional conference of the Council of Councils (CoC) in Seoul, South Korea. The CoC initiative is funded by a generous grant from the Robina Foundation for CFR’s International Institutions and Global Governance program. The views described here are those of workshop participants only and are not EAI, CFR, or Robina Foundation positions. The Council on Foreign Relations takes no institutional positions on policy issues and has no affiliation with the U.S. government. In addition, the suggested policy prescriptions are the views of individual participants and do not necessarily represent a consensus of the attending members. Existential global challenges such as climate change and nuclear proliferation require sustained collective action, but increased geopolitical tensions, a lack of long-term policy planning, and the uncertainty of the United States as a trusted global partner thwart cooperation. 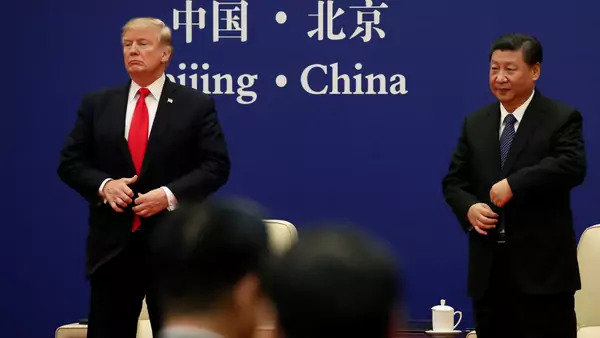 Growing strategic and economic tensions between the United States and China could lead to a prolonged confrontation that undermines global trading rules, as each nation struggles for political and economic primacy in Asia and beyond. The eleventh regional conference of the Council of Councils held separate sessions on how to denuclearize North Korea, advance global health in an aging world, balance energy needs with environmental protection in developing Asian economies, and mitigate the rise of techno-nationalism. Forty-five participants from twenty countries gathered to discuss these issues. The recent transformation in inter-Korean and U.S.-North Korea relations has raised hopes for peace on the Korean Peninsula and the ultimate denuclearization of North Korea. With the leaders of the United States and North Korea themselves leading negotiations, a breakthrough is more likely than in the past. 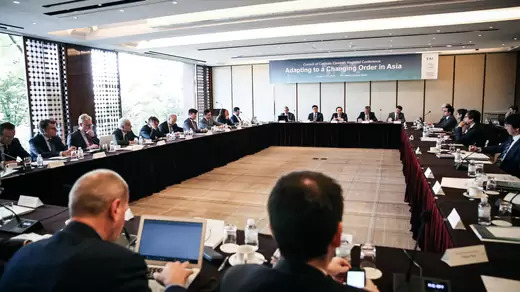 However, conference participants remained pessimistic due to the complications of denuclearization and the complex regional interactions among the United States, China, Japan, North Korea, South Korea, and Russia. One of the biggest stumbling blocks is the lack of an agreed-upon definition of denuclearization and a process to achieve it. While the United States is pushing for complete, verifiable, and irreversible denuclearization, North Korea and China envision a gradual, phased process accompanied by the withdrawal of all U.S. troops from the Korean Peninsula. Parties also diverge on whether denuclearization or peace should take priority. The United States, for instance, argues that any peace agreement should follow denuclearization. By contrast, South Korean President Moon Jae-in appears to be pursuing a peace process that includes denuclearization. Moon’s approach makes some experts nervous because it could delay nuclear concessions by Pyongyang despite Washington and Seoul making their own concessions to ease tensions. China’s geopolitical interests also complicate the process. One participant observed that Beijing wants not only a stable periphery but also to question the legitimacy of the U.S. military presence on the peninsula. A major challenge, therefore, will be to try to reconcile and coordinate these perspectives to achieve a reasonable compromise. One of the biggest stumbling blocks is the lack of an agreed-upon definition of denuclearization and a process to achieve it. As one participant observed, the governing regime in North Korea is unlikely to give up its nuclear capabilities without a guarantee for its survival and full recognition of its sovereignty (something South Korea has always withheld). Accordingly, pledges to this effect are likely to be important incentives in the denuclearization negotiations. All conference participants agreed that increasing policy coordination and trust is vital to the denuclearization process. Several participants lamented that U.S. President Donald J. Trump had cast doubt on U.S. intentions and reliability by his consistent rebuke of international cooperation and withdrawal from multilateral agreements. Participants also worried that increasing U.S.-China tensions could derail prospects for North Korean denuclearization and the broader stability of the Asia Pacific. Participants considered the U.S.-China relationship to be the strongest determining factor of whether a so-called peace regime can be achieved on the Korean Peninsula. The United States, China, Japan, North Korea, Russia, and South Korea should agree on a definition of denuclearization. Washington, Beijing, and Seoul should map out a concrete strategy, with precise goals and timelines for denuclearization, which includes carrots and sticks, to persuade Pyongyang that denuclearization is the only viable strategy. Washington and Seoul should coordinate with Beijing to balance economic sanctions against Pyongyang with negotiations and deterrence. Negotiations, sanctions, and deterrence should be applied in a unified and balanced way. All parties should jointly implement a step-by-step process that restores mutual trust and helps inter-Korean reconciliation. One option would be an intermediate model whereby parties take some trust-building steps short of strict denuclearization verification, particularly if tougher snapback sanctions can be implemented as necessary. The United States, China, Japan, Russia, and South Korea should insist on using International Atomic Energy Agency inspectors to verify North Korea’s denuclearization. One option to make this more palatable to North Korea would be by offering incremental security guarantees upon dismantlement. Another option would be for all countries to recognize the sovereignty of North Korea in order to reduce its perceived insecurity. All parties should insist on the strict enforcement of human rights protections. Most countries in the world face three challenges: aging populations; high occurrences of noncommunicable diseases (NCDs) such as heart disease, cancers, and diabetes; and the increasing prevalence of risk factors for NCDs such as unhealthy diets and tobacco use. NCDs were responsible for more than two-thirds of all global deaths and disabilities in 2016, yet global action to mitigate them is lacking. As the world’s older population continues to grow, these problems will only worsen. This challenge can be addressed by reversing the current lack of access to and unaffordability of health care, which is exacerbated by corruption, vested interest groups, and health policies shaped by commercial considerations. One participant declared that the world is witnessing a silent health crisis, and if no action is taken, millions of people will die unnecessarily. Priorities include reducing transborder air pollution [and] regulating or standardizing consumer goods such as sugar and alcohol. Noting that health is a fundamental human right that goes beyond borders, participants discussed whether global governance mechanisms could be reoriented to help advance that right or whether the focus should be on coordinating national approaches, including through regionally clustered agreements and partnerships. Most participants agreed that multilateral health efforts should focus on providing global public goods, mitigating externalities, and setting common standards. Priorities include reducing transborder air pollution, regulating or standardizing consumer goods such as sugar and alcohol, promoting research and development on NCDs, and adopting common approaches to the labeling and advertising of harmful products. Others were more skeptical of the ability of international institutions to address the challenge of NCDs, given the ineffectiveness of the World Health Organization (WHO) and the largely local nature of these problems. But even those participants conceded that multilateral institutions and the Organization for Economic Cooperation and Development countries have tools, such as foreign aid, that can incentivize nations to create strategies to meet the health needs of aging societies, enhance research and development, and adopt evidence-based approaches to monitoring and evaluation. Many participants argued that reforming intellectual property rights would expand access to affordable medicines. This goal could best be achieved by ensuring that new and generic products are widely available while also incentivizing innovation. However, several participants lamented the absence of a global appetite to tackle intellectual property reform multilaterally—or even bilaterally—in trade agreements. Further, pressing pharmaceutical companies to reduce the prices of NCD medicines will be much more difficult than it was in the case of infectious diseases, because these companies earn the majority of their profits from NCD medicines. Governments, the WHO, and regional health organizations should coordinate to increase access to essential NCD medicines for low- and middle-income countries. By bargaining together, these countries and organizations could coordinate group or bulk purchases and negotiate with medical patent holders to reduce the costs of NCD medicines. Developed countries should stop using trade agreements, investment agreements, and other more informal pressures to obstruct developing nations from undertaking the same regulatory measures that wealthy nations have implemented to confront the risk factors for NCDs, such as tobacco use or obesity. Governments should establish effective multi-sectoral plans—which coordinate policy across agriculture, education, finance, health care, trade, transportation, and welfare sectors—in international trade agreements to help mitigate preventable behavioral and environmental risk factors for NCDs. Policies could include taxation of unhealthy foods, regulation on marketing of such foods or consumer products, and incentives to import or produce healthier products. To encourage regulatory coherence on health-related aspects of trade, states should explore plurilateral actions within the World Trade Organization (WTO). The aim could be reaching an agreement, analogous to the Environmental Goods Agreement, which would seek to eliminate tariffs on products that help mitigate risk factors for NCDs and prioritize health promotion. Governments should revisit and propose international actions to change the existing incentive structures that drive the development, marketing, and trade of pharmaceuticals to ensure that low- and middle-income countries can afford treatment for NCDs. The WHO should create an expanded, shared information system for health data and best practices. For example, it could establish an international standard for death certificates as well as a specific mortality database. This would promote international uniformity and consistency in record keeping to better direct health funding and future prevention policies. All countries should work toward adopting universal health coverage. Energy production is the largest contributor to climate change. The energy sector accounts for about two-thirds of global greenhouse emissions. Given that four of the top ten polluting countries are in Asia—led by China, India, Japan, and South Korea—the continent faces the dual challenges of meeting the growing demand for energy and also securing ambitious emissions reduction targets. Participants stressed that innovative governance and financing for renewable energy production is critical to tackling this challenge. Unfortunately, because energy security is an important aspect of national security, the transition to sustainable and renewable energy could lead not only to more interdependence but also to geopolitical friction, as countries compete for more efficient renewable energy sources. While international cooperation is critical for the transition to sustainable energy, particularly in the developing world, participants predicted that national interests would clash and, in many cases, override common interests. While international cooperation is critical for the transition to sustainable energy . . . participants predicted that national interests would clash and, in many cases, override common interests. Participants agreed that clean and efficient energy infrastructure is necessary for sustainable development and emphasized China’s outsize role in developing and financing renewable energy sources, including through its infrastructure projects throughout Asia. Although viewpoints diverged on China’s Belt and Road Initiative (BRI), participants generally agreed that BRI plays a vital role in funding much-needed infrastructure in developing countries. Most participants underscored that because BRI is technology-agnostic, Chinese-backed projects could actually drive investment in fossil fuels—for instance by increasing the number of coal-fired power plants. Governments and international institutions should adopt global best practices and standards in the energy sector and develop new mechanisms that promote and incentivize the sharing of clean energy technologies. Governments should incentivize the private sector to allocate financial resources and technological capabilities to expand modern, affordable energy systems, particularly in developing nations. For example, governments could support policies to stimulate research and development, implement tax incentives, expand public procurement programs, create more grassroots or local funding mechanisms, and strengthen the Mission Innovation global initiative. Governments should coordinate policies to improve the labeling of environmentally friendly finance and research and development to encourage investors to consider the environmental sustainability of their investments. International institutions and development banks should better coordinate financing projects to advance green energy solutions and technologies in massive infrastructure undertakings; this will be critical in meeting Paris Agreement goals. As technology transforms societies and economic growth models, governments are adopting techno-nationalistic policies: innovation policies that incentivize national technology creation and adoption at the expense of competitors through tactics ranging from protectionist tariffs to industrial policy. Techno-nationalism is attractive to governments because transformative technologies provide an overwhelming advantage to first movers. While participants agreed that many countries were guilty of techno-nationalism, the Made in China 2025 plan dominated discussions. One participant surmised that China’s large subsidies could create a global glut in some advanced technology sectors, posing challenges to the global trading system. While some participants also discussed problematic aspects of Chinese techno-nationalism, including “indigenous innovation” provisions that require foreign companies to hand over proprietary technology, others underscored that China has worked hard to meet its ascension commitments to the WTO and its legal obligations on rulings issued by WTO tribunals. At the same time, China does exploit loopholes in current global trading rules, which, because of China’s large economy, creates huge problems for the rules-based system. Techno-nationalist policies can best be mitigated through international cooperation and multilateral institutions, primarily the WTO. Unfortunately, participants were not confident that the WTO could resolve these disputes through its existing governance mechanisms. One participant suggested a coalition of countries could bring a case against China under Article 23 of the WTO’s founding charter, the General Agreement on Tariffs and Trade, which stipulates that nations can sanction a trading partner whose policies nullify or impair their legitimate expectations of the WTO by violating the overall intent of the rules. Regrettably, the Trump administration is alienating potential allies by acting unilaterally against what it perceives to be China’s trade abuses while undermining the WTO’s rules and subverting its authority. Participants noted that developing countries increasingly face a choice between the United States and China in their quest for market access and investment. This emerging geoeconomic and geopolitical rivalry is most apparent in the divergent U.S. and Chinese views on internet regulation, as well as issues surrounding privacy, data use, and surveillance. Participants called for a more nuanced discussion, noting that attitudes about internet governance vary widely, even in the West. Governments and think tanks should formulate policies that deal with global labor gains and losses from the fourth industrial revolution. Think tanks can play a crucial role in identifying trends, challenges, and opportunities for policy action. Governments and international institutions should coordinate policies to minimize the harmful effects—e.g., growing social and economic inequality and the alteration or elimination of many jobs—of the fourth industrial revolution and spread its benefits. They should also expand funding of technological infrastructure to less-developed areas. Governments should create stronger and more up-to-date international governance mechanisms to regulate digital security and privacy to prevent the deepening of techno-nationalist rifts across countries. Governments should take stronger steps to regulate technology as a public good to avoid private companies setting the standards and regulations for themselves.